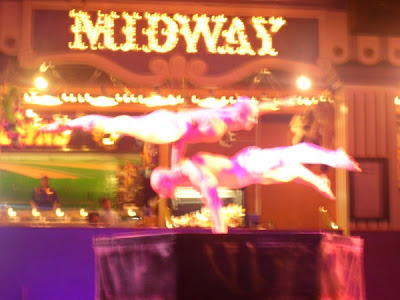 Photos were taken when we went to Las Vegas a few years ago. 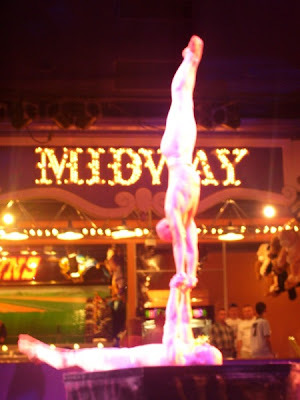 We saw these two Polish guys performing a free show in Circus Circus Hotel. They gave an amazing performance! Duo Design is the name of the group. 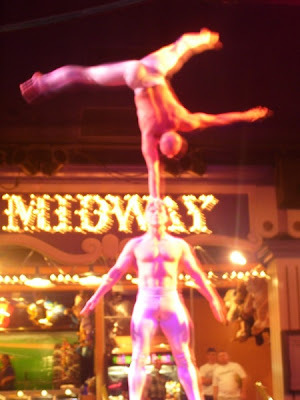 It is a dynamic and exciting strength and hand-balancing act from Warsaw, Poland. Duo Design consist of Jaroslaw Marciniak and Dariusz Wronski, former Polish national hand-balancing champions. They have competed and performed throughout Europe and the United States, winning championships in Evian, France and Sarasota, Florida. Over the past few years, these prolific performers have thrilled audiences from coast to coast. Duo Design has performed at several NBA halftimes, Circus Circus in Reno and Las Vegas, Busch Gardens in Tampa Florida, and many more. Here's a video I found in youtube, I thought of sharing it here on my blog. I want to greet everyone a very Merry Christmas! I would like to thank all my friends who sent a postcard this year. Thanks a lot guys!